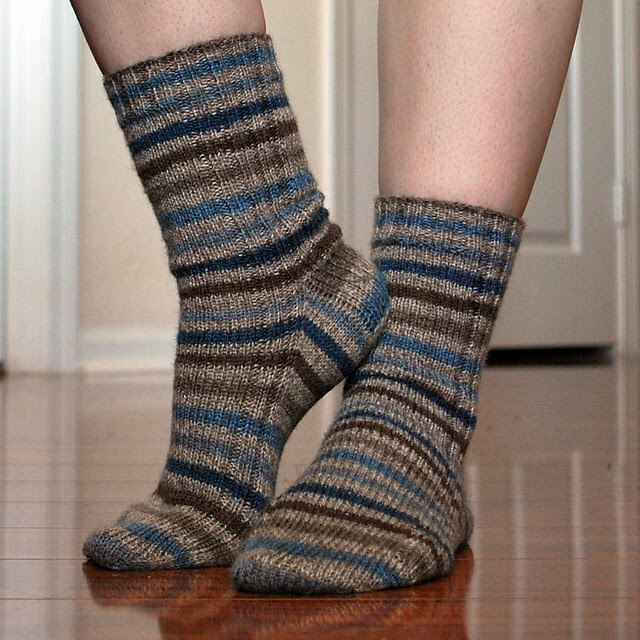 So I've been watching the Flash your stash 2012 thread on Ravelry. I actually flashed my stash on page 3 of the thread (if you're interested in seeing it). Since then, I've added some to my stash and I've given some away. This is my newest addition to the stash. That's 8 skeins of Berroco Vintage in Bilberry, and 5 skeins of Mini Mochi. I plan on a sweater for the vintage, and a Spectra scarf out of one of the colors of the Mini Mochi (just not sure which at the moment). 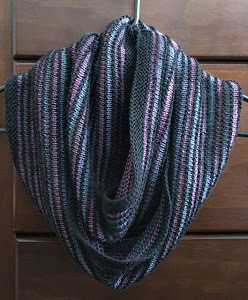 That'll be my second Spectra, and man, do I love that scarf. I wear it every chance I get. 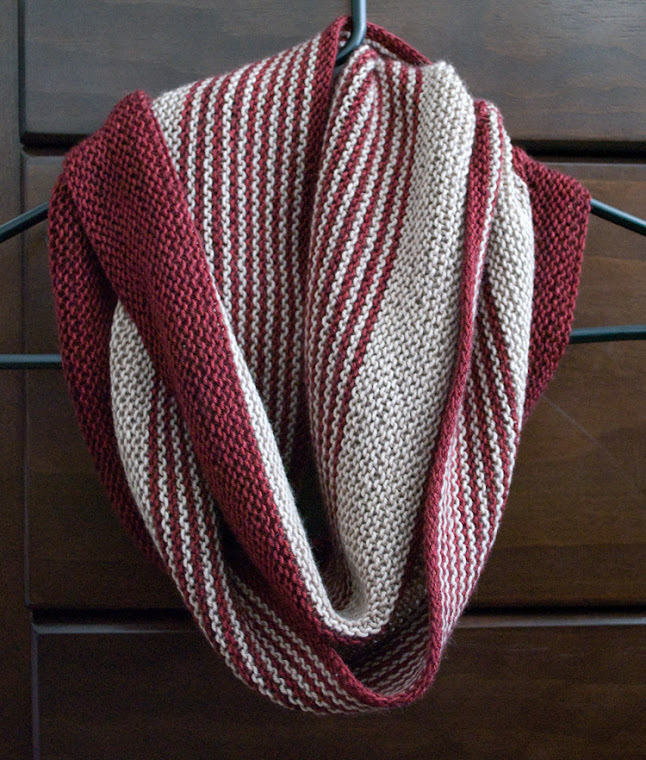 It's a great scarf, and it's so...so...ME. 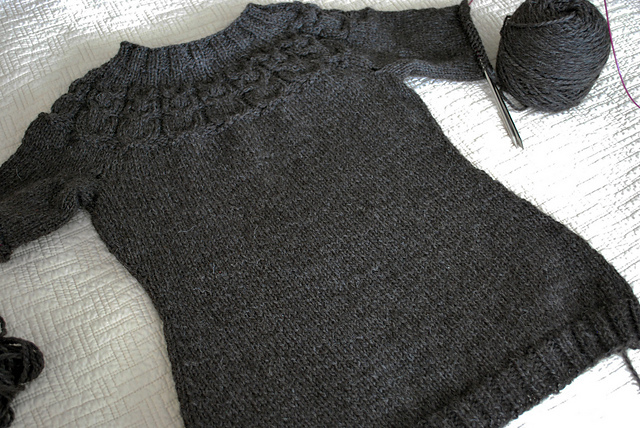 I've been working on this little number (above), and I'm in love with the sweater...the yarn, not so much. 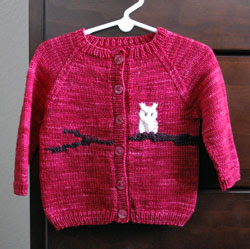 It's the Owls sweater by Kate Davies, and I'm using Cascade Eco Wool. 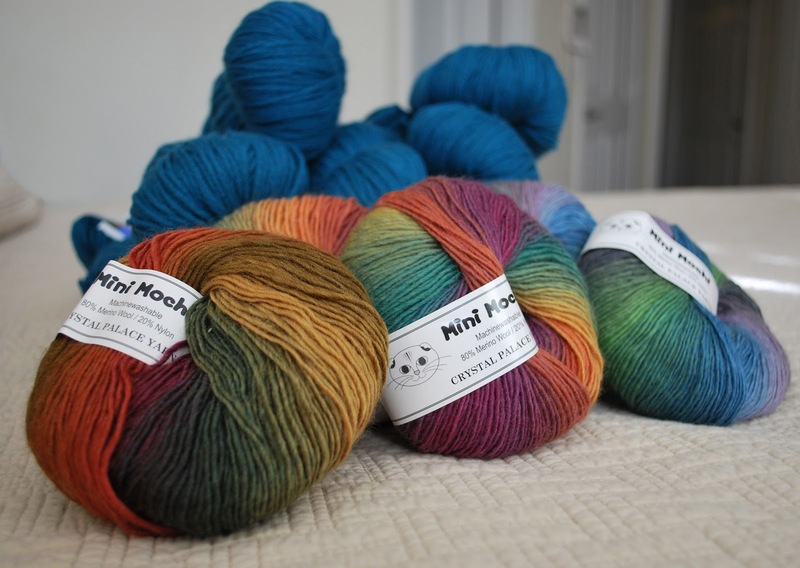 It comes in these giant honking skeins, and some very pretty natural colors. It's just...itchy...to me, anyway. 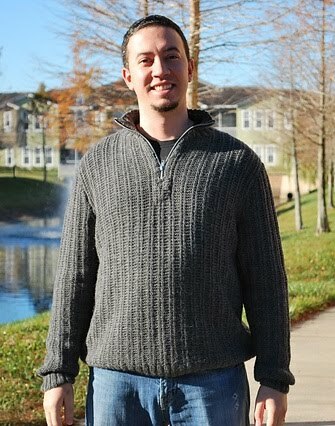 At this point, I'm loving the sweater so much I don't think I care about the itch. I'll have to find myself a nice thickish shirt to wear under, and it'll be good. I ended up not really using the pattern for most of it. 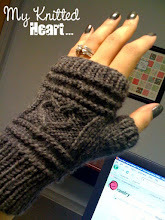 It's like I've got some freakish alien body that doesn't like the measurements on hand-knit sweater patterns. Well, that, and the gauge I got, was nowhere near the right gauge. I did use the pattern for the owls, and sort of for the decreases in the yoke. I used my gauge swatch to calculate the cast on number, and tried it on as I went for decreasing and increasing in the body. I used a provisional cast on for the sleeves, so that I could keep going with the yoke, then knit the sleeves down afterwards. So far, success! I'm getting something like 4.5 or 5 rows to the inch, and yet, I've managed to stall out on it anyway. What is it with sleeves!!?? 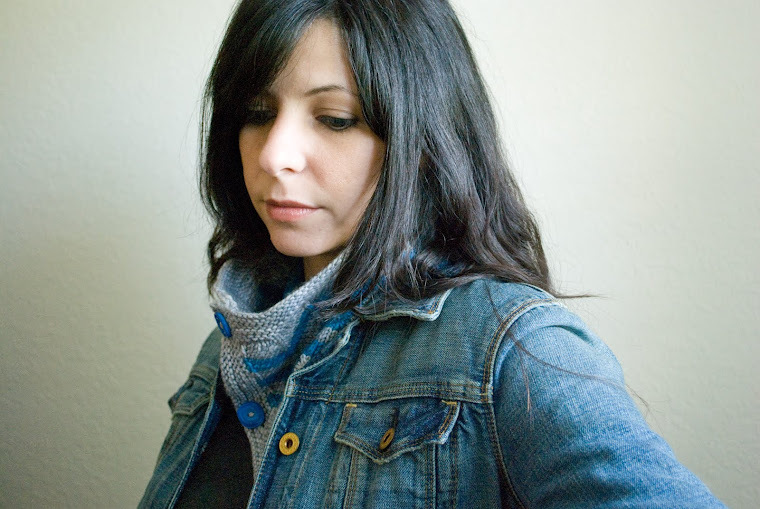 I've got sweaters on the brain, a severe case of cast-on-itis that I'm trying my very best to fight off, and projects that are soon to be neglected if I can't get myself together.